Each year we work with our Global Outreach partners to determine which locations and ministries would benefit from having short-term teams come. Teams then work with these partner ministries to accomplish specific ministry objectives that would not otherwise be possible. Information about each team and resources to begin your application process are below. If you have questions that can’t be answered on this page, contact Wanda for more information. Upcoming trip information will be posted here as trips are planned. Student ministries is doing a couple of summer things. You can see there things here. In addition to the trips we are able to do at Bethel Church we also partner with some organizations that GO on a more regular basis. We encourage you to visit their websites and see if God is leading you to serve Him through one of these organizations. International Messengers is an evangelical interdenominational missions organization comprised of an international staff team. They are committed to making disciples of all nations through partnering with local churches to renew, train and mobilize believers for active involvement in reaching the world for Christ. They believe that the spiritual revival of the Church is a primary key to effectively reaching this world with the love of Christ. They are committed to serving the local church, helping her move towards renewal, and then to again envision her central role in spreading the Gospel locally and globally. They see themselves as partners with the local church to equip and send people into the world with the truth of Jesus Christ. In February of 2019 Bethel sent a mission team to Honduras for youth evangelism, vocational women’s ministry and construction in the area of Nueva Capital near Tegucigalpa, Honduras. Andy and Kristi Kvernen, Paul and Kara Fladland; led worship in Hucisko, Poland for the staff conference of International Messengers (IM). IM is led by Bethel’s missionary partners, Darwin and Darlis Anderson. 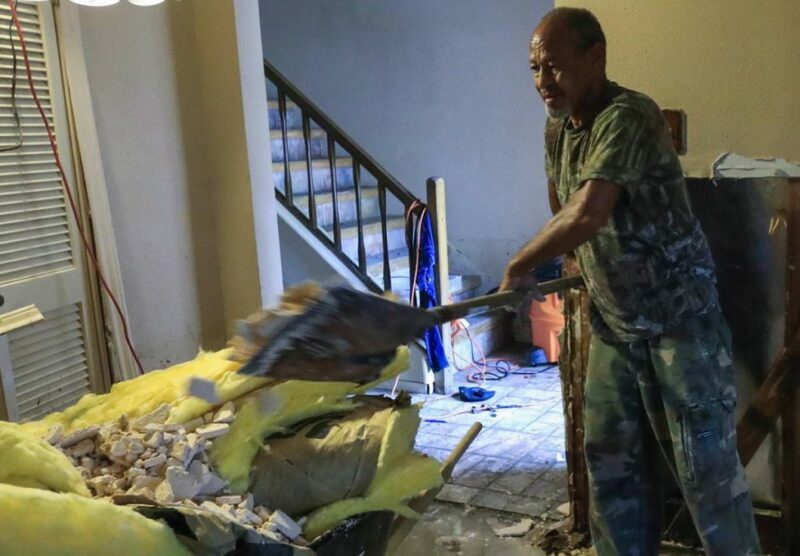 In coordination with EFCA ReachGlobal Crisis Response, Bethel Church had people go and serve the Lord for short-term missions in Houston, Texas. They did carpentry, framing, flooring, painting, roofing, HVAC, masonry, counseling, prayer warriors, leadership and more. July 21-29, Bethel youth partnered with World Gospel Outreach in Tegucigalpa, Honduras to provide evangelism, children’s ministry, construction, and medical/optical/ dental/ chiropractic care. Jeff Nelson led a short-term trip to Honduras on February 12-19, 2017. Team members served with local missionaries, a local church and the public schools to provide a Vacation Bible School and do basic construction in a poor community near Tegucigalpa. This was Bethel’s 5th mission to this region. The Nepal Medical Mission Team will serve October 19 – November 1 in East Nepal. They provided hygiene education and met the medical needs of 1,500+ children; allowing an opportunity for evangelism. This was a partnership between Bethel, NDSU, and Awana. Please pray. Financial gifts are still needed to help cover expenses. Dr. Ryan Schroeder led a short term mission trip to Honduras February 28-March 8. Team members provided vacation bible school and construction in the poor community in Tegucigalpa. Our mission partners, Darwin & Darlis Anderson (International Messengers), had 4 short–term mission trips available that summer. There were camps planned for Romania, Slavakia, Jordan, and Egypt doing things from VBS programs with kids to family camps and sports camps as well as investing in youth and families through English language learning. These were great trips to get a taste of what International Messengers is doing overseas and get involved in what God is doing there.